With indies, we don’t talk about the failures. Those students who banded together to make their first project, the hard-worn AAA veterans gambling homes and careers for a chance at their dream game, the Eastern European developers living eight to a room… The stories we tell are of the winners, not the losers. This focus on success encourages the gamble, the way that black young men on the streets of Chicago focus on the rich gang leaders and not on the guys dying on the corners. 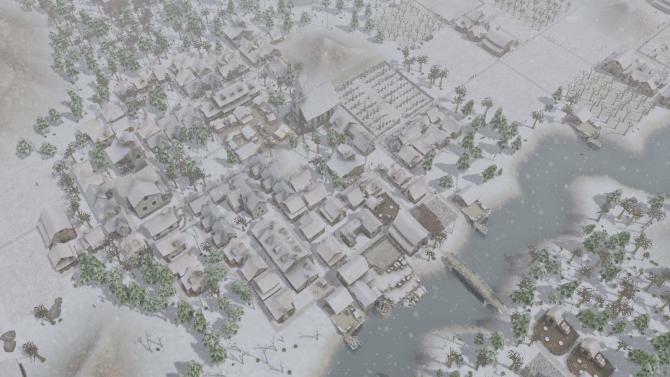 Banished’s creator, the former console developer Luke Hodorowicz, was similarly starry-eyed but at least is aware how lucky he was. “Like all the indie stories, you jump ship and live poorly for years, bleeding money. There’s a lot of confirmation bias out there, when you see the success stories. I know ten people in the area where I live who’ve quit their jobs in the game dev community, to do it themselves. It’s hard to say whether or not their projects will sink or swim. My goal was to cover my costs and make another game, and that certainly happened.” If it hadn’t worked out, he would have just got another console programming job. Hodorowicz doesn’t share sales numbers, but his rural town-builder sold way past his target of 50,000. “It beat all my expectations.” The game challenges you to keep an isolated town running and improving over the generations, endlessly battling cold, starvation and ignorance. What was crucial to his game’s success, which Hodorowicz couldn’t have predicted, was how disappointing a recent, higher-profile city builder – sorry, the highest-possible city builder – had been. That’s EA’s Sim City. It was supposed to be Maxis’ crowning rebirth, that would garner critical and financial success and prove that The Sims model wasn’t a one-off. Instead it proved to be a compromised, buggy and mechanically-fudged title. Coming along after that, with Banished’s more modest but more robust sim, may have been Hodorowicz’s salvation. 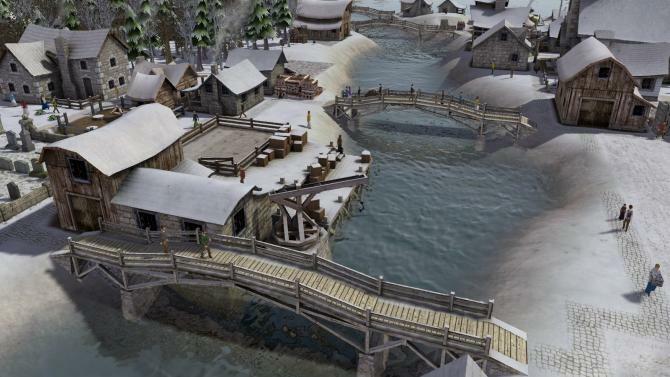 On top of that, whilst Banished’s features were more modest – it didn’t have Sim City’s hundreds of upgradeable buildings – it was more of a game. It actually had challenge. In Sim City, zone an area and enough people would eventually come to your town that you could just buy a church (House of Worship) and plonk it down. In Banished, getting the stone, training the priest and keeping the population fed and alive through natural disasters, then building the church… just getting anywhere near that was a challenge. “You have to keep people alive and they don’t come and go depending on how popular your city is or what the simulation thinks popular is.” That made it a hard game, harder still in the unbalanced pre-release beta build that many of the press initially played. But that more limited playset, which looks like a design masterstroke in retrospect, was a happy accident. “From the indie perspective, I built the entire game myself, and building each building took me a long time. I had no art skills when I started… Just the thought of adding another 50 or 100 buildings… I would have spent 6 or 9 months just making artwork!” So the restricted design and difficulty was in fact emergent. “I started with just fields, the woodcutters and the foresters, real basics, the core of the game. I reached a point where I decided ‘this is a good simulation and this is a good point at which to stop and call it done’”. And he did. And it was a good simulation – more so than Sim City which seemed to fake and fudge its background mechanics. In Banished, if a person took a long time to carry a piece of wood, then you had to wait for him to arrive to use it. In Sim City, a city bus can literally never stop, its trapped passengers presumably eking out feral existences between the seats – but the economy keeps rolling. “At one point I almost did that – that I’d have the simulation and that people would be walking around but not doing the real thing…in a bigger game where you have 10,000 people, that’s certainly the way to think about it. For sequels, I’ve thought about bigger towns, with 100,000 people, where everyone’s simulated. That’ll be a big challenge. 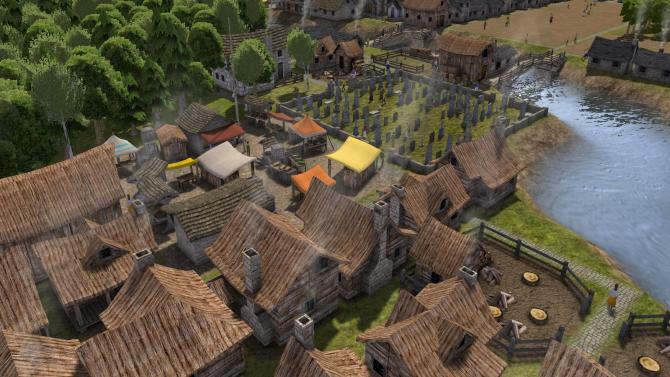 But I like the style of game where every little simulated person is doing what they need to – but it makes the simulation a lot harder.” Travel times, sickness, building locations, hunger, terrain, and age… these are all factors for every worker in Banished. One element the games did share was a tight area to build in. Sim City wanted players to build multiple cities and use its (broken) trading network to balance out each one’s deficiencies, so restricted each cities’ ground space, often making them more like small towns. It took a lot longer to hit Banished’s area limits, but when you did, it felt like game over. Was that a programming limit or a design limit? More recently, Hodorowicz actually took another leaf out of the Sim City book – albeit the more popular classic Sim City 4 – by adding mod support to extend the life of the game. His community have rewarded him by adding over 500 mods. 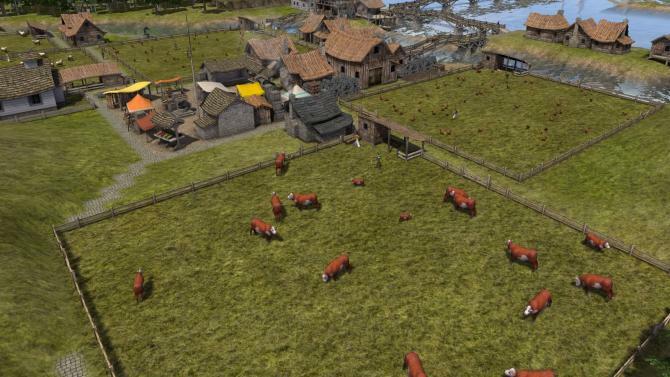 They fill in gaps in his simulation by, for example, letting cows produce milk. That might sound small, but it entails a man to milk the cows, cheese, a creamery, and an entire dairy products chain. Okay, it’s not as good as Hodorowicz doing it himself – he probably would have fixed that latter mod’s invisible cows bug – but it hugely extends the life of the game. Other popular mods reduce the difficulty or change the building styles to Japanese or introduce tree growth (eat your heart out Fable). That level of community support has pushed Banished up to the level of a AAA game, and let Hodorowicz step away from the game. “At this point, I think I’m pretty done with it, with adding features.” After all, he’s been working on it for around four years. 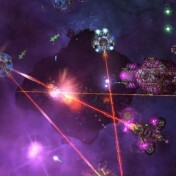 Now he’s just polishing off Mac and Linux support, to increase his skill set to allow simultaneous release of future games on multiple platforms. And after that, he’s working on a varied set of new prototypes. “One’s kind of a twitch fast game, another’s another city builder, then there’s a first-person project… I probably won’t start talking about those until I decide what I’m going to follow. It may be the case that none of them will happen.” Hodorowicz worked on console titles before Banished, with the highlight being Earth Defence Force: Insect Armageddon, so there’s no guarantee that his follow-up will be anything similar. That’s the bigger gamble of the indie dream. Not finishing that first project – but keeping going. One-hit wonders exist in games – like Phil Fish or Alexey Pajitnov – and as the indie revolution matures and the market saturates it’s likely that there will be more high profile failures. Surprisingly, Horodowicz hasn’t played the new Sim City. “I still have Sim City 4 installed for forever, for ten years, and still run back to that occasionally. By the time that Sim City 5 was released, I was in the last year of development and I really didn’t play any games. And then the reviews were terrible… and I have a wishlist on Steam that’s a hundred games long. Maybe one day I’ll get to it or maybe they’ll make one that’s more like Sim City 4.” Or maybe he’ll just make it himself.